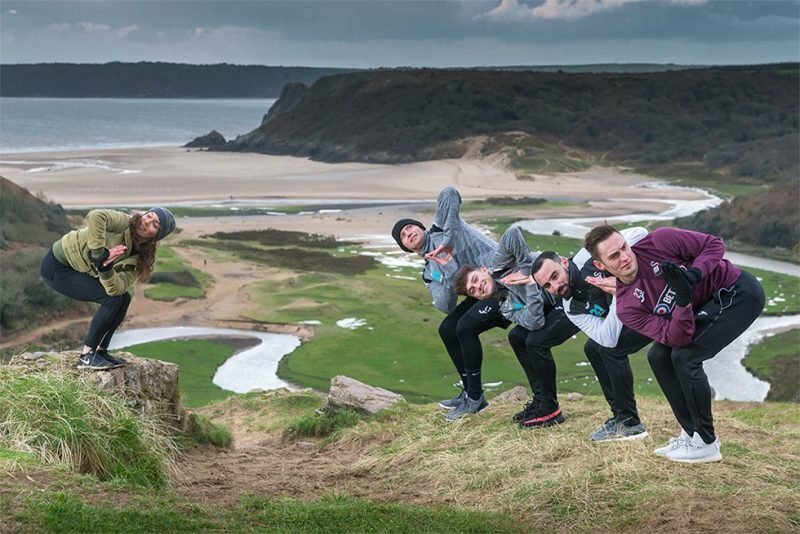 On Blue Monday (21 January), Swansea City AFC players — Joe Rodon, Connor Roberts, Dan James and Declan John — swapped the pitch for ‘the plank’ as they took part in an outdoor yoga session, overlooking Three Cliffs Bay on the Gower Peninsular. 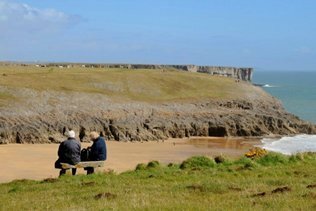 Part of Wales’ Year of Discovery, the surprise session launches a series of pop-up wellbeing events happening at beauty spots across Wales this coming Saturday (26 January), including four National Trust sites. 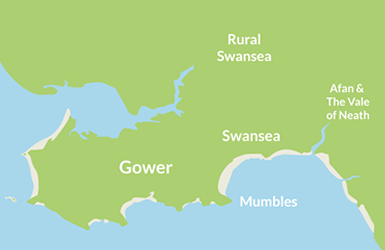 Hosted by Visit Wales, the unique events have been arranged to give people a much-needed wellbeing boost by reconnecting them with nature in some of the country’s most idyllic surroundings, while taking them on a journey of discovery through mindfulness and meditation. From yoga in the surroundings of the Brecon Beacons to mindfulness and meditation overlooking the sands of Broad Haven Beach in Pembrokeshire, the free events are open to the public and can be attended without pre-booking. Deputy Minister for Culture, Sport and Tourism, Lord Elis-Thomas, added: “During Year of Discovery 2019 we want to encourage people to discover Wales anew, to discover new parts of Wales and to try out enriching outdoor, adventure and cultural experiences across the country. We’ve had a great start to the year with the Sunday Times Magazine choosing Wales as one of the rising stars of 2019, alongside places such as Morocco and Iceland, Georgia, Portugal, Turkey, Sri Lanka, Costa Rica, Croatia, and South Africa. Visitors to the wellbeing sessions are advised to bring a mat or blanket and dress appropriately for cold and wet weather conditions. Visitors are advised to check parking charges at nearby car parks. A full list of events can be found below. Rise and shine to a yoga and meditation session in the heart of Snowdonia National Park. 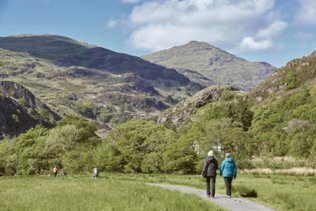 Escape to the quaint and historic village of Beddgelert, where an hour’s outdoor session will take place opposite the Church of St. Mary’s alongside the river, with panoramic views of Snowdonia’s awe-inspiring mountains. All levels and ages are welcome to join in! How to get there: Visitors are advised to park in the village car park before walking past the National Trust shop and down the lane alongside the river. Shortly afterwards you’ll see a footbridge with a gate leading to St. Mary’s Church — otherwise recognised as the start of the path to Gelert’s grave. A full map can be found below. 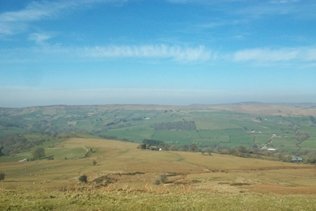 Enjoy spectacular panoramic views of the Brecon Beacons along ‘The Begwns’ walk, especially from the Roundabout, the highest point on the common. Take some time out to relax and re-energise by spending time with nature in an outdoor meditation and yoga session, led by Graham Nolan from River Flow Yoga. Visitors are strongly advised to bring a mat/blanket and warm clothing for the session. overlooking one of Pembrokeshire’s most idyllic beaches at Broad Haven South. The session is open for beginners and for those who are just looking to reconnect with one of Wales’ most beautiful hotspots. How to get there: If travelling by car, visitors can park in the main car park (nearest postcode is SA71 5DR) — just a stone’s throw from the clifftop, where the session will be held. The session will last for an hour and visitors are strongly advised to bring a mat/blanket and some warm clothing. 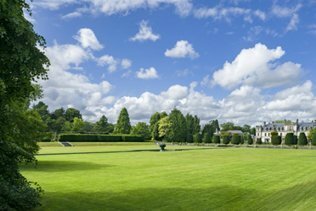 Enjoy views overlooking 55 acres of Edwardian gardens, featuring intimate garden rooms, formal lawns and an extensive arboretum. The session will be open to all levels and ages but visitors are strongly advised to bring a mat/blanket to participate. How to get there: Head to the Visitor Reception of Dyffryn Gardens and the welcome team will guide you to the Great Lawn for the hour’s session. Located between the villages of St Nicholas and Dyffryn, there are brown signs to direct you from Barry and Culverhouse Cross. When on 5. Duffryn Lane, you will find the entrance on the right hand side if coming from the A48, and on the left if you are approaching from St Lythans Road. The full address is Dyffryn Gardens, St. Nicholas, Vale of Glamorgan CF5 6SU. 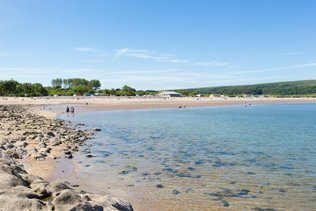 Wander down to the award-winning beach at Oxwich Bay, feel the sand between your toes and enjoy the fresh sea breeze as you join an outdoor yoga session with Ana Chidzoy from Hotpod Yoga South West Wales. Complete with some of Wales’s most spectacular coastal views, the hour-long session will be suitable for all levels and ages. Visitors are strongly advised to wrap up warm for the occasion. How to get there: If traveling by car, visitors can park in the main car park next to Beach House Restaurant at Oxwich Beach, Gower, Swansea, SA3 1LS. Please note, a small parking fee will apply (cash only). To join the pop-up welling session, head to the section of the beach that is immediately in front of the restaurant. 2019 is Wales’ Year of Discovery — encouraging visitors and local people alike to discover Wales anew, explore its hidden corners, and try out enriching outdoor, adventure and cultural experiences across the country. For more information search visitwales.com/discovery.